South Pole Station’s July 4th release date is counterintuitive in its timeliness—Ashley Shelby’s novel of a painter’s sojourn at an isolated Antarctic outpost offers excellent escapism for these humid summer months. By glancing at the promotional teasers and jacket artwork, this book could easily be mistaken for a work of nonfiction, and in an alternate universe that version could very plausibly exist. Instead, Shelby presents an adroitly organized, multi-tiered saga about the type of personality that seeks refuge at our planet’s lowest geographical limit, and the unique opportunity for personal growth available there. The resulting work is funny, insightful, and most definitely worth your attention. The story’s initial phase does feature red flags often indicative of starving artist, navel-gazing indulgence. Shelby, a debut novelist, presents her debut novel, an allegory of an aspiring novelist seeking inspiration for…her debut novel. This is symbolically suggested by the main character of Cooper (female, for the record), a thirty year old painter yet to have held a steady job in her adult life. Nor has she manifested the potential seen in her during art school. She earns a grant through the National Science Foundation’s Artist and Writers’ program to spend a year in the Antarctic’s South Pole Station to create art reflective of the geography and personality of that icy and desolate realm. Living for many months at the station with very little to show by way of productivity, Cooper ponders if the entire endeavor is a last-ditch attempt to delay her inevitable slide into mediocrity. But rest assured—though the book’s start doesn’t seek to explore beyond the novelist’s own desk, it’s nonetheless executed with sufficient articulation and relevance. Moreover, South Pole Station grows fascinating through the community’s eccentric cast of characters. With a similar structure to Orange is the New Black or even Lost, it’s gradually evident that Cooper herself is but a single piece of this story’s puzzle. We meet the station’s resident scientists, the other grant-funded artists, and the lifers who serve as the medical, culinary and technical staff. As the tapestry unfolds, individual sections are devoted to fleshing out the backstories of each participant, exploring how they were “just-crazy-enough” to live voluntarily in the Antarctic’s near isolation. While this does make for an ambitious collection of concurrent narratives, the resulting book never feels disjointed or unfocused. 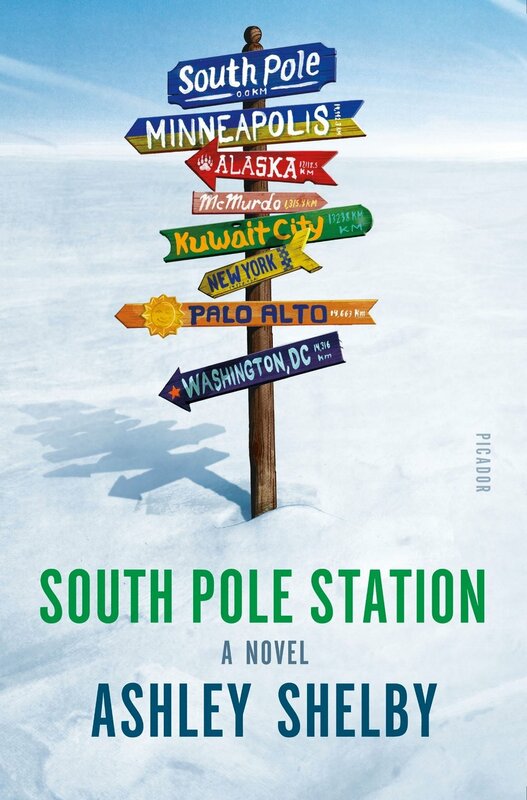 The novel’s acknowledgements section does concede that several stories derived from this novel appeared in other publications elsewhere, meaning South Pole Station could have just as easily been a (less marketable) short story collection. But Shelby succeeds entirely in weaving them all together. Not single corner of this novel drags, nor will you ever feel impatient to “get back to the main story already!” This is accomplished by Shelby’s effortlessly insightful prose and effective investigational reporting. There are multiple interesting portraits of the subcultures that define the station, including the medical, psychological, cosmological, and culinary. Many of these sections could have stood on their own as effective nonfictional essays. Instead, they’re all woven together in a tapestry that slowly gathers around an ideological battle that becomes book’s central arc. The station’s scientific community clashes with shunned newcomer Dr. Frank Pavano, due to his pursuit of research supporting climate change denial. As the layers of hidden motivation unravel, the narrative comes to involve politicians and titan oil companies, with Cooper herself unknowingly becoming a pawn in the mix. The way these factions collide is enthralling and successfully ties together what might have been a less memorable anthology series. Even if aspiring artist navel-gazing is low-hanging fruit, that’s not to say it can’t be done really well. In South Pole Station it very simply is, and it’s a mere preamble to the ambitious scope of this saga. It’s always on the move, yet takes sufficient time to examine with due diligence the various corners into which it pokes its head. Shelby might have a hard time topping herself, since this debut is very obviously a cleaning-out of her extensive literary closet. But with such sharp prose, incisive wit, and respect for the material she’s investigating, it would be a good investment to read this and any future work she produces. 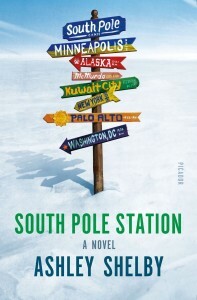 South Pole Station will carve a firm spot in your end-of-year favorites list.